As you know, I always try to keep things very simple with my attire. 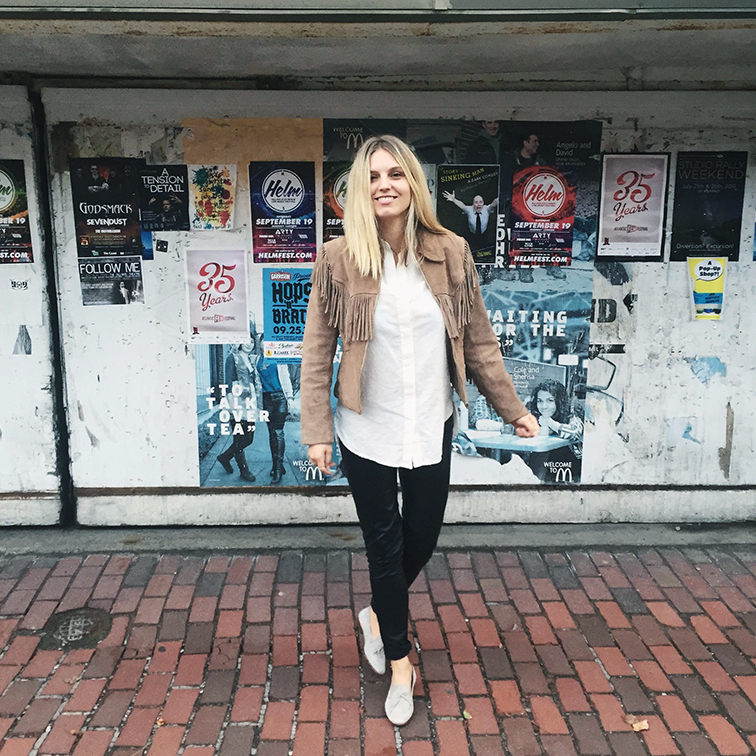 And if you're not aware of this personal style mantra of mine, all the evidence is right here on this blog. I just have a disdain for fussing. But that doesn't mean I don't want to put some effort into how I look or dress, because, after all, this is a style blog and at the end of the day, I care very much. That said, one way to make sure that you're always at the top of your game, no matter how casual or how dolled up you've gotten yourself, one thing should remain consistent: your accessories. And that goes for whether you're trying to keep it minimal or going all swaggy. 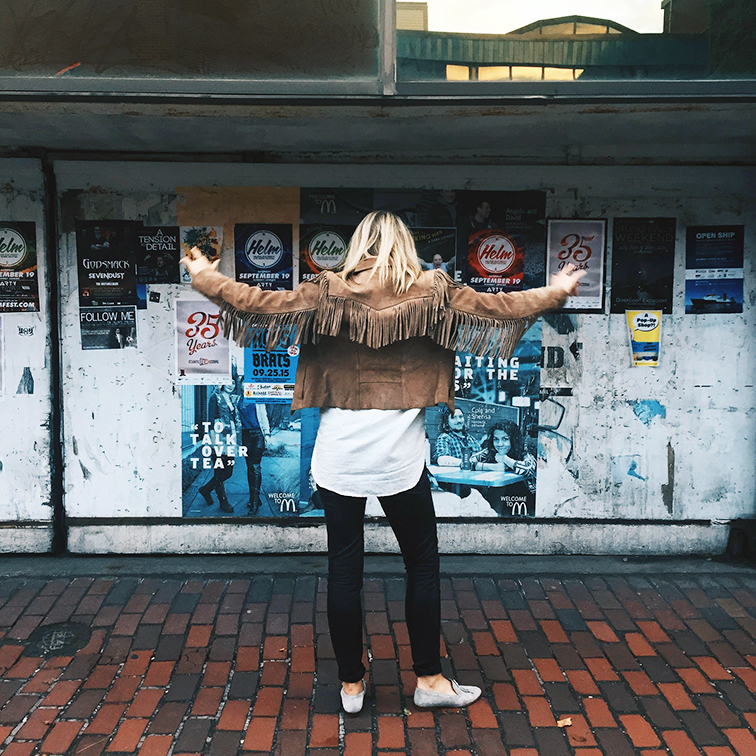 As a person of a certain age (gulp), I'm quite done with experimenting with trends, as I feel as though I've come into my own when it comes to personal style. I know what I like, what I don't, and more importantly, what I feel like myself in. In short, I've nailed down my sartorial affinities and I'm sticking to them. I'm not huge on over-accessorizing, but I do believe in getting it just right. That usually means one to three chain necklaces, stud earrings and a killer pair of sunglasses. However, lately I've become quite enamored with an item that has turned into a huge staple in my ornament game: the wrist watch. 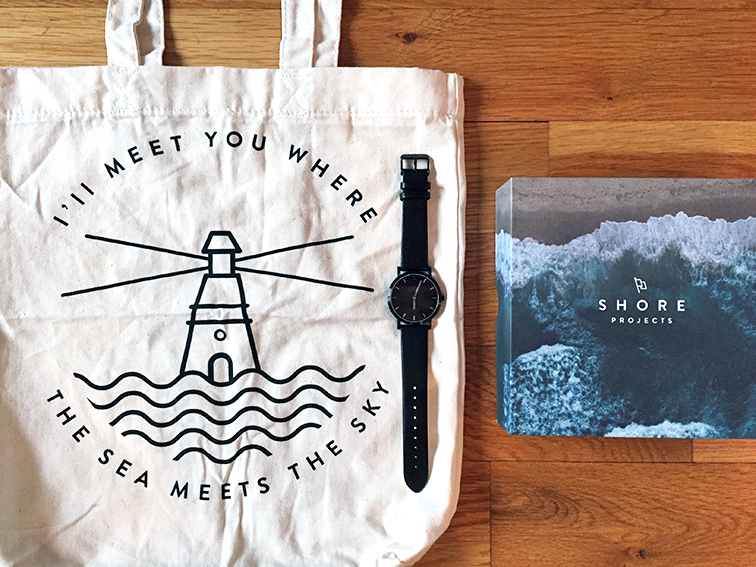 My heart has been stolen by Shore Projects, this amazing company that embodies their seaside-inspired brand. 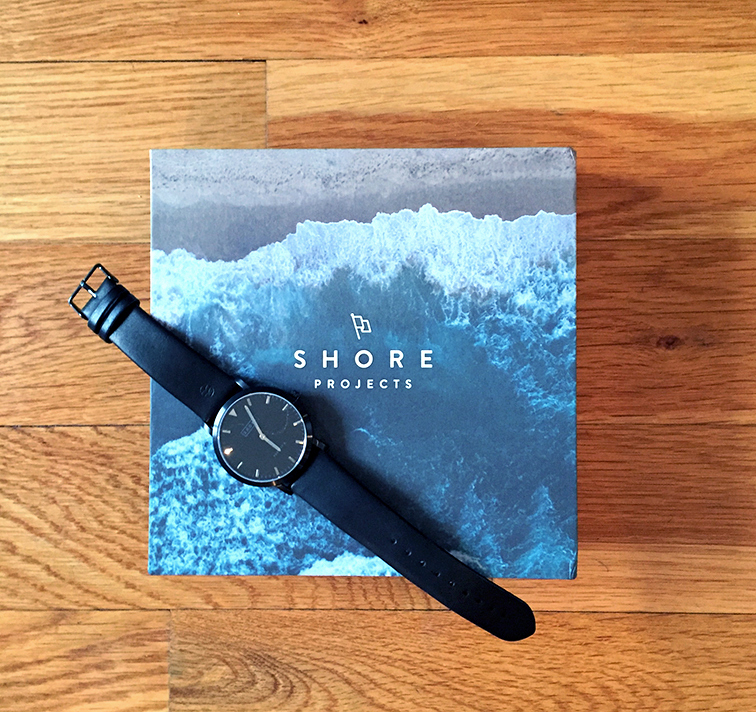 One of the reasons for why I fell for Shore Projects is because you don't have to settle for one style, nor do you have to double down or buy a whole bunch of different models for versatility because, drum roll please, they have interchangeable wrist bands. Basically you just have to choose a face you love and then just get all sorts of different bands to be able to serve each one of your outfits. In these shots I'm wearing the all black version, but I also have a gold chain metal band and a tan one, so I'm never without it since all of these iterations cater to any ensemble I put together. In fact, the box set makes a great Christmas gift, if you're still looking. Have you ever had an item on your ultimate wish list that you were never able to actually find in real life but you continued to dream away, hoping that one day, its perfect iteration would magically show up in your life? 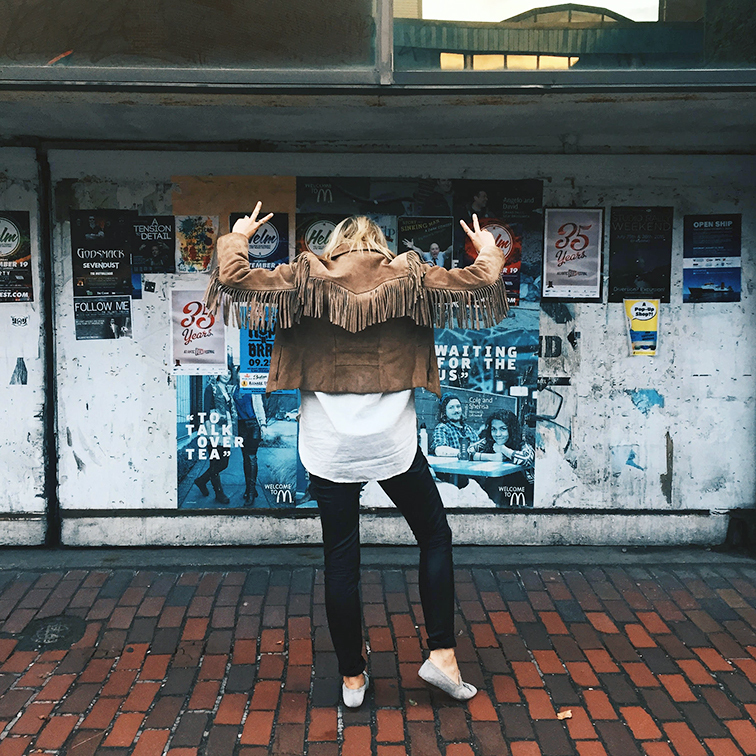 People, I hereby present you that special piece on my list: the tan fringe suede jacket. It spent years lingering on my fall must-by lists, jumping from one year to another without me ever having been able to scratch it off. Fortunately for me, I live in a neighborhood that is ripe with all kinds of vintage goodness and I stumbled upon this little treasure after aimlessly wandering on a Saturday afternoon with some friends. Catching my eye right away, I slipped it on and it fit like a glove. It was basically fate. Its vintage character makes it even better than any piece I could have gotten brand new. It was love at first sight and I think we're in it for the long haul.